Meeting Recorder 9 software turns any Windows computer into a powerful meeting recording system. With SoniClear digital recording every detail is captured with digital clarity. 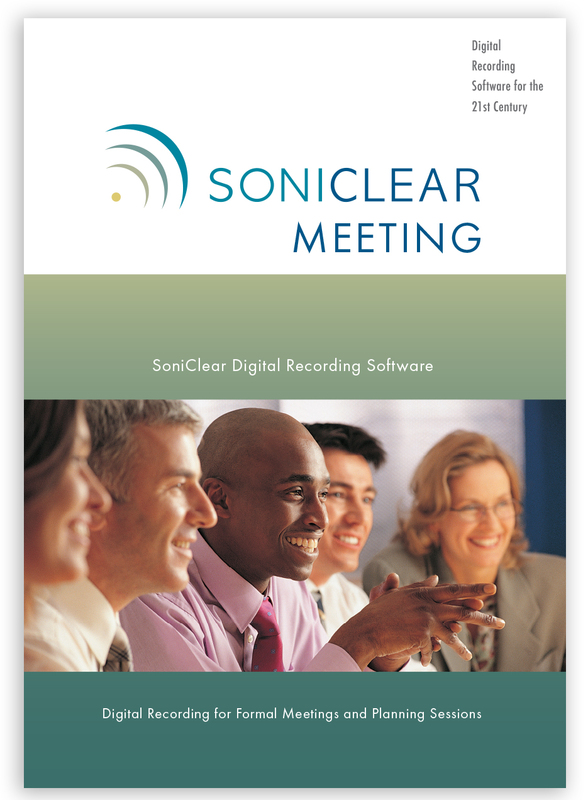 Learn more about Meeting Recorder 9 for Recording Meetings. Learn more about Meeting Recorder 9 for School Boards. Meeting Recorder 9 includes the Gov Transcriber 9 software. This provides automatic transcription of recordings to text using the SoniClear Cloud transcription service. Meeting Recorder 9 is designed for people who frequently attend meetings and need to produce accurate minutes, or simply need to review the information later. Produce meeting minutes faster with instant recall of any point in the meeting. Reviewing meetings with staff and officials is also quick and easy, for clarifying discussions and action items. For government officials who need to share the recording system or publish meeting information to the organization, Gov Recorder 9 is also available with additional features for recording and sharing. Meeting Recorder 9 provides for efficiently entering timestamped notes of agenda items, motions, votes, and action items. The software also captures the clock time as it records, making it possible to access discussions by jotting down or recalling the time from the meeting. Meeting Recorder 9 is designed for maximum reliability. During the meeting, simple controls make it easy to operate, and clear that the recording is properly capturing the information. Because the software runs on the Windows laptop or desktop computer in the meeting room, it is always ready to record, no batteries, memory cards, or CDs required. After the meeting the digital audio files make it easy to keep track of where the recordings are stored. Recordings are managed like any other computer file, preventing problems caused by misplaced media. Meeting Recorder 9 sound quality is excellent, with clear digital sound. In addition, microphone selection is a critical step for achieving the best sound quality. SoniClear creates customized microphone kits for each customer to accommodate any meeting room setting. Meeting Recorder 9 runs on any Windows 7 or 10 laptop or desktop computer. The software is also available pre-installed, as a complete system with the computer and microphone hardware ready to use. Record in large rooms with background noise.